Would you like to watch the German Bundesliga online? 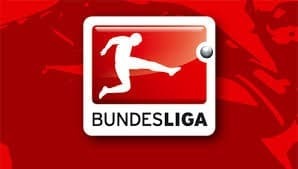 Read this article and find out how you can watch all Bundesliga matches online in a few minutes from now. The German Bundesliga is living in the shadow of Premier League in England, but when it comes to quality many people will agree that the German teams are better than the English teams. Maybe your favorite team is about to play a match in the German Bundesliga and you would love to watch it online, but don’t know how it is done? We have written this article for you. We love the Bundesliga as well and we understand that you want to watch Borussia Dortmund or Bayern Munchen play their matches. Or maybe you cheer for Werder Bremen or Hertha Berlin? Here you will find instructions telling you how to stream all German Bundesliga matches online. There are several ways in which you can watch the German Bundesliga online. We are writing this article continuously to make sure that you know the best ways to get access to the Bundesliga matches online. If you have further insight or maybe a question then you can use the comments field beneath. The very best way for sure to watch the German Bundesliga online is by owning a subscription to Fubo TV. This is an American TV channel that broadcast every single Bundesliga match, and in addition, you will get access to the Europe League matches and the Champions League matches with your subscription. And as of February 2017, you also get access to the Premier League in England and all the other European top leagues. Visit the Fubo TV website right away, or read this article on how to stream Fubo TV abroad. This is a brand new service that works perfect, and it is without a doubt, the best way to stream football online! Get yourself a VPN subscription to HideMyAss. Download the HideMyAss client to your computer. Connect to a server in Sweden or in the Czech Republic. Visit eurosportplayer.com and sign up for an account. Once you have signed up you can watch the live broadcast from the German Bundesliga matches using Eurosportplayer. Notice that you can also use HideMyAss to change between Eurosportplayer in the different nations in which it is available. We will get back with even more methods and ways to watch the German Bundesliga in the future, but until then, you will have to stick with this solution. Have fun and enjoy watching the German Bundesliga on the Internet. ← Is a SmartDNS subscription enough?